Most preferable range of theme based furnishings, our collection is made attractive with attractive lion prints on the curtains, sheetings and other linen present in the kids room. These are made attractive with myriads of colours and designs, specially incorporated by our designers. 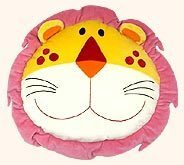 Moreover, the lion shaped cushions, door mats, floor covering are designed to capture the attention of your children and enhance the d?cor of your kid's room. Desc : A snuggly nap time chum. 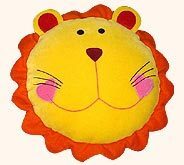 This little lion features an expressive mouth and just loves hugs. Toddlers can nuzzle their nose against his pink & red nose and can relax on his pot belly. Desc : Leaning his body this fat lion is ready to make the kids sit on his back comfortably. 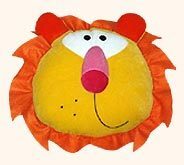 Well stuffed this lion soft toy possesses red mane, black tufted tail, and yellow soft yet strong body. Desc : King of jungle is eager to make the kids bosom friend & wants to live with them in their home forever. 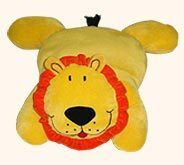 This cushiony yellow mouthed baby lion toy has red colored mane around the neck. Desc : Sure to be kids' first companion. 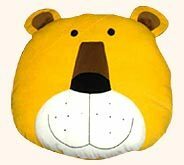 This soft lion toy makes any child want to cuddle with. 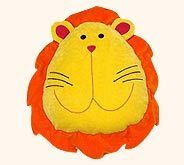 Featuring embroidered facial expressions & pink mane this lion catch the eyes of little ones at first glance. 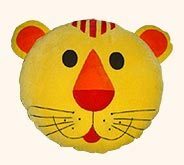 Desc : Reflecting the deep understanding of kids' likings and dreams, our well versed designers have created this baby lion soft toy in playful countenance and with gorgeous colors. Desc : Exploring the innocence of the infants, this lion has also left his violence. Heart touching smile on his lips and delightful & colorful face are the true evident of this. Desc : Loveable lion soft toys are touchably soft and visually snuggly. These lion toys have brown nose & ears and white mouth on yellow floppy face. 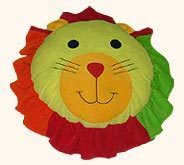 Desc : Designed with flair, these realistic looking soft toys lions are capable to entertain and delight the infants as well as toddlers.